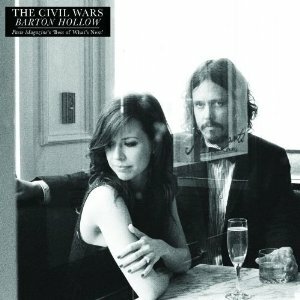 I discovered The Civil Wars for myself mere weeks before their debut album Barton Hollow was released. The day it was released, I fell in love with them, and couldn’t wait another day to share them here on my blog. I was so moved by their music, I also felt compelled to review it formally. They played two sold out shows in town at the beginning of the month; I attended neither, having been behind the curve on finding them in the first place. Then(!) a serendipitous occasion sprung up: a Grimey’s in-store. Now, for those in Nashville, that is explanation enough, but for those who are unfamiliar with the gloriousness that is Grimey’s New and Preloved Music, I will simply say this: it is an incredible testament to the lingering importance of passionate, caring, locally-owned brick-and-mortar music stores. I think I will devote an entire post to Grimey’s soon, so I’ll get on with my story. 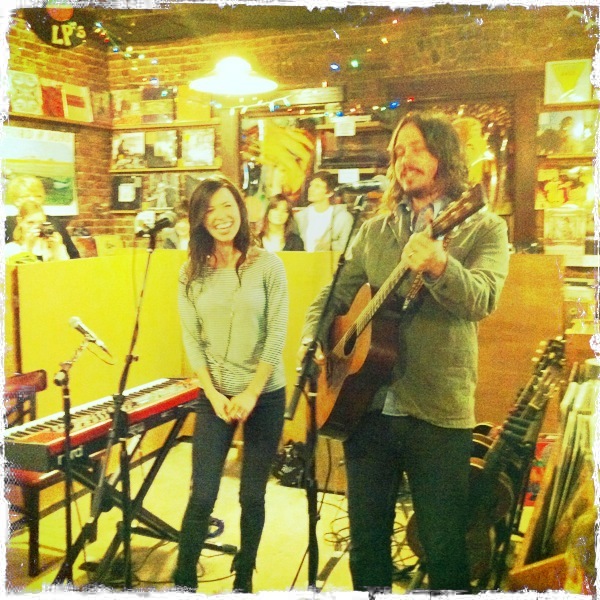 The Civil Wars scheduled an in-store performance at the lovely little record shop for this past Wednesday evening, and the only requirement to get in was to have been one of the first 130 people to buy The Civil Wars’ CD or LP. Needless to say, I stopped by on release day. 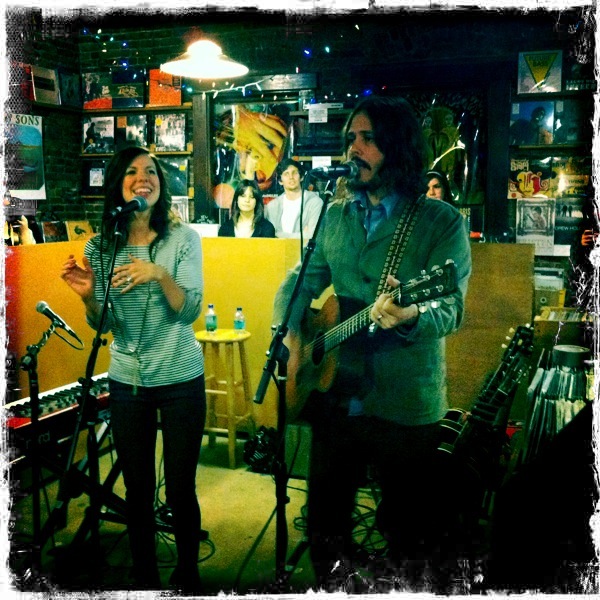 And of course, Joy Williams and John Paul White were just darling. They were honest and enthusiastic and genuinely in awe of all the attention they’re getting. And then they sang songs, which explained everything. Afterwards, they signed autographs (my LP is now significantly more special than yours) and took pictures with us. It was awesome. And personally speaking, I absolutely adore a band that can get a city like Nashville excited about music. Everyone around here is just so jaded, and rightfully so, and as a result, it takes someone really exceptional to get Music City going, or in this case, two someones. So normally I would dedicate one of my “Discovery Thursday” posts to my new obsession, a brand new folk band called The Civil Wars, but quite honestly, I can’t wait until Thursday to write about them. Listening to their debut album Barton Hollow (which was released today and is already sitting at #1 on iTunes), I am stunned. HOW HAS THIS BAND ONLY COME INTO MY CONSCIOUSNESS WITHIN THE PAST MONTH?! 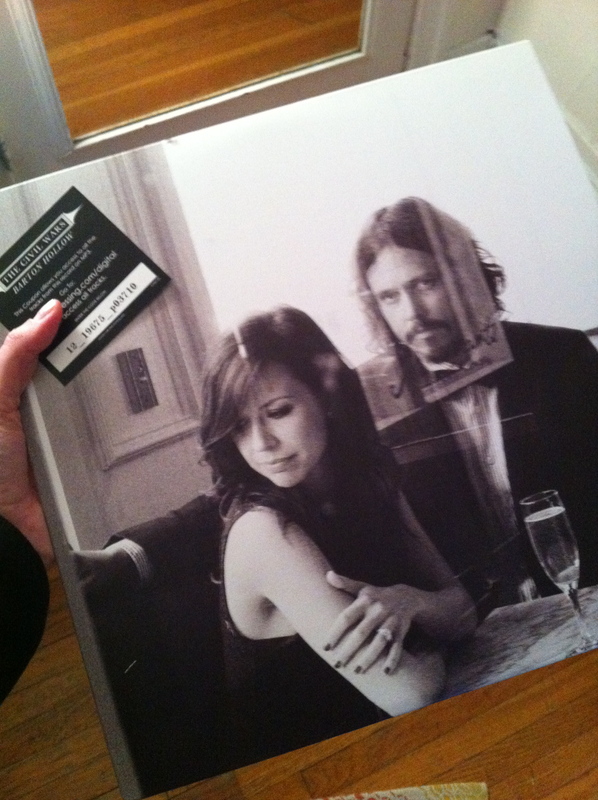 Joy Williams and John Paul White are the perfect duo; their dynamics are poised and expressive. 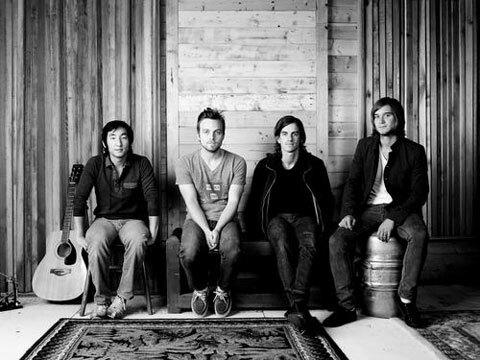 Ballads like their breakout hit “Poison and Wine” and “My Father’s Father” wash over me like a summer rain, warm and gentle. But their up tempo tunes, “20 Years” and “Barton Hollow” for example, blaze and flash like an old-world forest fire, harmonies glowing hotly while blistering strings accompany their voices. Even the lone instrumental on their debut, “The Violet Hour,” is elegant and haunting, ethereal piano like a lingering sprig of fresh greenery among the folksy brambles that populate the rest of the album. Needless to say, I’m totally enthralled with The Civil Wars and their new album Barton Hollow, so I have three suggestions for you, Internet world: 1. Watch the video below of the title track from the album, 2. Go to the band’s MySpace to check out a few more tracks, and 3. BUY THE ALBUM (here it is on Amazon).